Dental crowns at our Albuquerque, NM, dental practice can perform a diverse range of functions. They can both restore damaged teeth and improve the look of your smile. Dr. James Slaman offers durable crowns made from select restorative materials. He will evaluate your individual needs to determine whether IPS e.max®, zirconia, or fine cast gold is most appropriate for your crown. In many cases, he can also provide same-day crowns made with our innovative CEREC® system. Whenever possible, Dr. Slaman will use our CEREC® system to provide natural-looking dental crowns in a single appointment. Dr. Slaman will use our advanced technology, including digital x-rays and our intraoral camera, to evaluate your tooth. Then he can decide if a crown is the right option for you. After determining your candidacy for a crown, Dr. Slaman will begin planning your treatment. First, you will need to select the right restorative material. Gold is incredibly strong, and it can withstand tremendous force. If you chronically clench your teeth, a gold crown may be an outstanding option. Gold crowns can also be much thinner than other types of restorations. As a result, Dr. Slaman can often preserve more of your tooth structure when placing your crown. Additionally, the restoration will not put a lot of pressure on your adjacent teeth. Dr. Slaman is renowned for his skill with gold crowns. He will typically recommend this type of restoration for your back molars. For a more lifelike effect, Dr. Slaman can provide an e.max® or zirconia crown. These advanced ceramics come in a variety of finely differentiated shades. Dr. Slaman will choose the color that matches your smile. IPS e.max® also has a slight translucence. This quality lets the material interact with light just like natural enamel, giving your crown a realistic sparkle. Though not quite as strong as gold, e.max® and zirconia still offer incredible durability. Crowns can also be supported with implants to replace missing teeth. Whenever possible, Dr. Slaman will use our CEREC® system to provide natural-looking dental crowns in a single appointment. The system's scanner will take three-dimensional impressions of your tooth. The models will be incredibly precise, and there will be no need for messy impression trays. Dr. Slaman can use these molds to design your crown on an exam-room computer. He will show you the images as he works, answering any questions about your crown or your ongoing dental health. 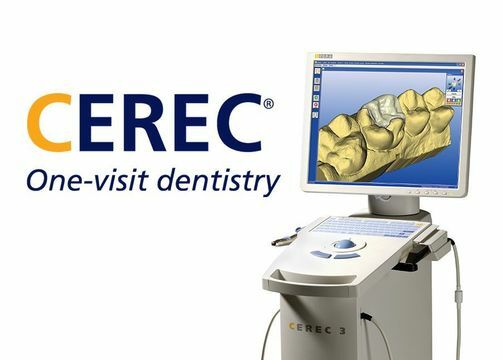 Then the designs will feed into our CEREC® machine, which works similarly to a 3-D printer. Based on your custom designs, the machine will create your restoration, carving it from a block of porcelain. Your crown will usually be ready in less than an hour, and Dr. Slaman will attach it to your tooth. Because the entire treatment will take place in one appointment, you will not have to worry about temporary restorations or inconvenient return visits. Despite their advantages, CEREC® crowns are not right for everyone. Dr. Slaman will evaluate your needs and provide an honest treatment recommendation. Dr. Slaman has extremely high standards and will work to ensure that you are completely satisfied with your dental crown. To learn more about crowns and to find out which type may be right for you, contact Dr. Slaman’s office today.